Today we decided that we only wanted to spend the day in Disneyland Park and do a couple of other things outside of the Parks (It’s insane I know). 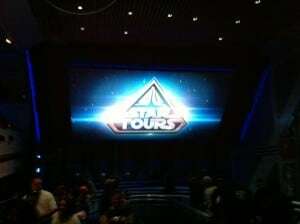 The day started off with standing in the incredibly long queue down Main Street waiting for Star Tours. We arrived at the park a bit later than the day before so we were a bit farther back. The total wait time after rope drop was about 20 mins. This time around we experienced a different beginning, ending, and planets. 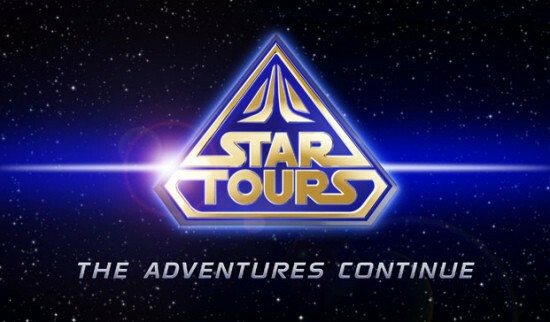 For those that do not know there is a total of 56 combinations for Star Tours. Each time you go it’s almost never going to be the same. There’s a beginning, planet one, planet two, and ending. I love the design decision on this since it keeps the ride exciting as you never know what you’re going to get. Also gets people coming back for more. I won’t give away which parts we experienced but the 3D is really well done and I found myself jumping a few times, which never happens. We grabbed Fast Passes after and they were already for 4:30-5:30pm. I’ll take what I can get! Visiting a far, far, away galaxy makes one hungry. No better place to get breakfast than the Carnation Cafe on Main Street. Our wait was maybe 10 mins and there were about 15 people in front of us. The benefits of only having two people in your party! Everyone else in front of us were larger groups. 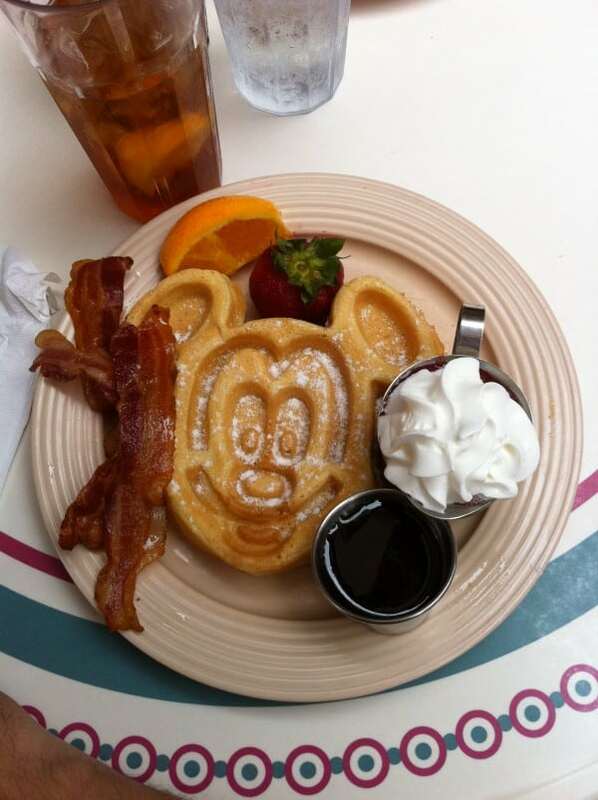 My all time favorite breakfast while dining at the Carnation Cafe is the infamous Mickey Waffle. It’s absolutely delicious each and every time I have it. If you have yet to experience this wonder, I highly recommend it. If waffles aren’t your thing then the next best thing is the French Toast with cream cheese icing. Got to have my Mickey Waffle! After our magical breakfast it was time to blast off to space again and hope that we don’t experience our breakfast again in reverse. Yes it was time for Space Mountain! The wait time was minimal, I’m assuming everyone was in queue for Star Tours which is probably a very good assumption at this point. 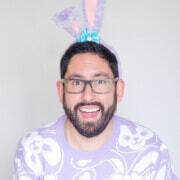 I decided to wear my Duffy Ears (how I love these ears) and the results were a very awkward looking photo. Thankfully our breakfasts didn’t go into reverse. After we decided to tackle Indiana Jones. The wait time was a bit longer (around 30mins) but it’s always worth the wait! We went and grabbed some Fast Passes for Splash Mountain before continuing on. 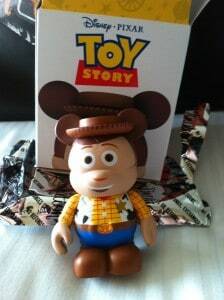 Next up was taking a bit of a break and taking the Monorail to Downtown Disney for some Vinylmation splurging. Was hoping there would be maybe, just maybe, a couple Star Wars Vinylmations kicking around but alas that was not the case. But I did pick up the cutest cupcakes! John went a little overboard and bought close to $200 worth of vinylmation. It’s actually cheaper to purchase them in the US and take them back to Canada. While some are $10-$12 in the US, in Canada they will be $12-$14. 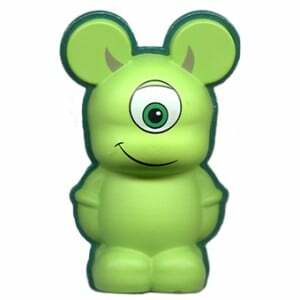 With our dollar being so strong it only makes sense to spend as much money as humanly possible on pieces of vinyl shaped as a mouse. It’s a good reason in my opinion! He picked up some TRON, Urban Series 6, and some Sports Vinlymations. 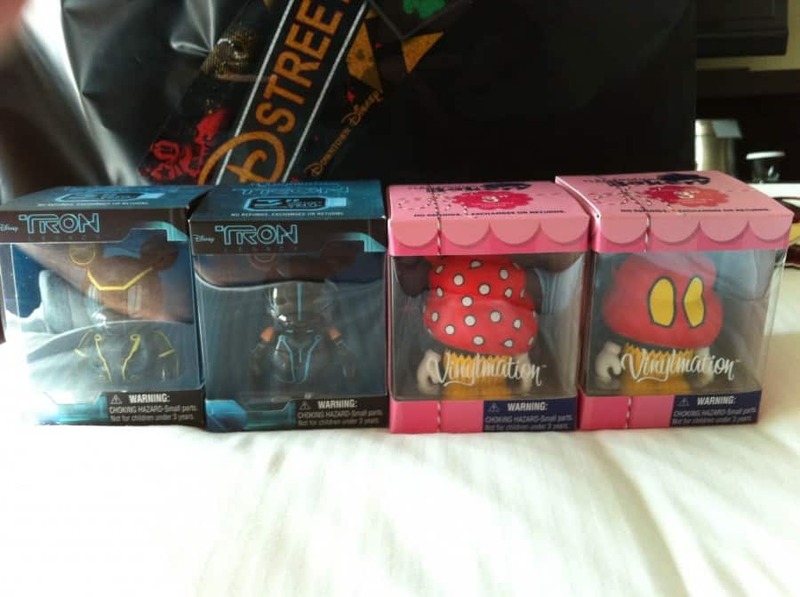 I bought a few TRON Vinylmations and picked up about four Toy Story vinymations. I Finally got Woody! This made me pumped and made up for the three Rexes I got. 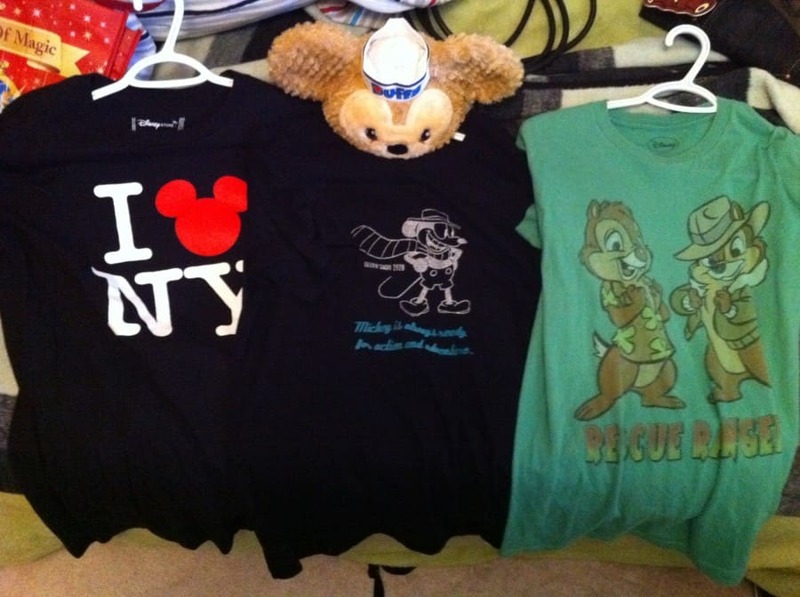 We had a few Vinylmations that we traded and got a couple of random ones we didn’t have yet. Always nice to get the ones you don’t have. 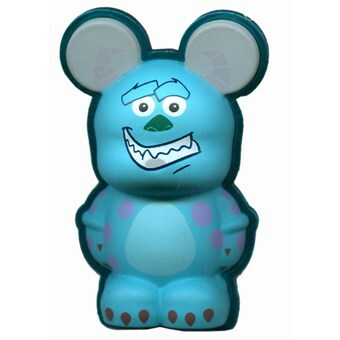 Being a Pin collector as well I had to pick up these incredibly cute Vinylmation pins shaped as Mike and Sully. How can you resist them? Spending your life savings on Vinylmations makes one very hungry. Nothing better than In-and-Out Burger to satisfy your hunger! Walked over to the Disneyland Hotel and hoped in a taxi and away we went. The taxi driver waitied for us while we ran inside to get delicious and juicy burgers. Did I mention they were juicy? After the pretty girl inside the restaurant gave us our food we headed back to Disneyland Hotel. We ate our In-and-Out on a bench, we are so classy. It was worth the $30 taxi ride. By the time we were finished our delcious and juicy burgers it was time for Splash Mountain! This time around there was no disrepectful teenage throwing garbage into the water. I got a bit more soaked then last time. I did try and give John moose antlers on the drop down but the person in front of us had tree trunks for arms and basically blocked us out of the photo. It was late afternoon by this point and we were pretty tired. We headed over to the Garden Center (out door mall just a few blocks from Disneyland) and John did some shopping while I had a nap at a very comfortable table in the sun. I put my sunglasses on so people didn’t know I was sleeping, hopefully it worked. Few hours of sitting around and not doing much we were energized for Disneyland once again! Also were a bit hungry so we grabbed some hot dogs from the Refreshment Stand. 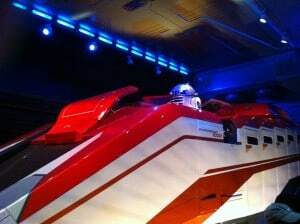 Then it was time for Star Tours again! We got a different sequence again with this one, and it was just as enjoyable as the first three times we rode it. Throughout the day I had various people stop me and ask me where I got my shirt from. 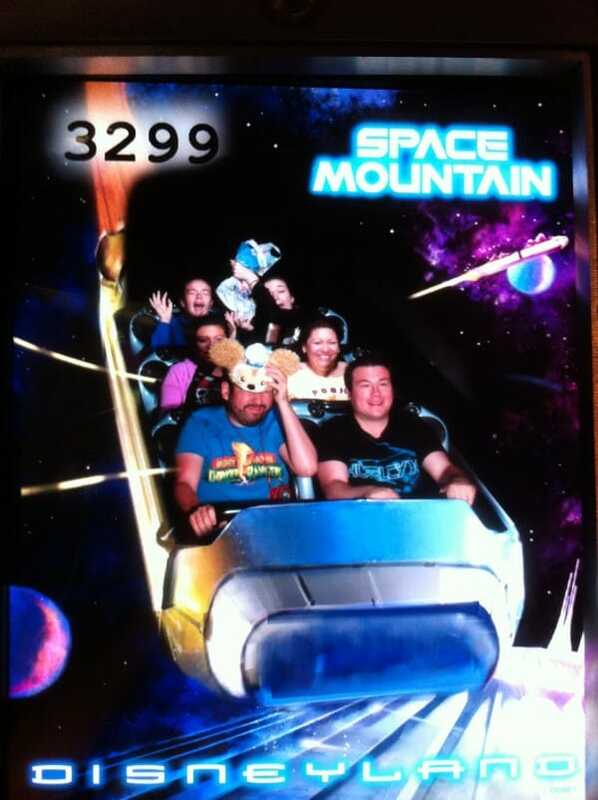 I was wearing my Mickey shirt that my friend’s mother bought for me in Tokyo. I also got multiple comments on my Duffy Ears and Duffy (who was hanging out in my backpack). I even had a couple people ask for photos with me. Not usually that I enjoy having attention but this time I didn’t mind it at all! I never visit Disney without these! 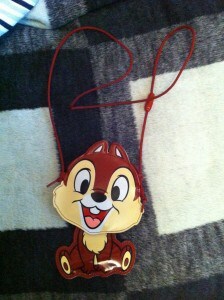 One that got the most questions and comments was my Chip Lanyard that holds our Passports and Fast Passes. 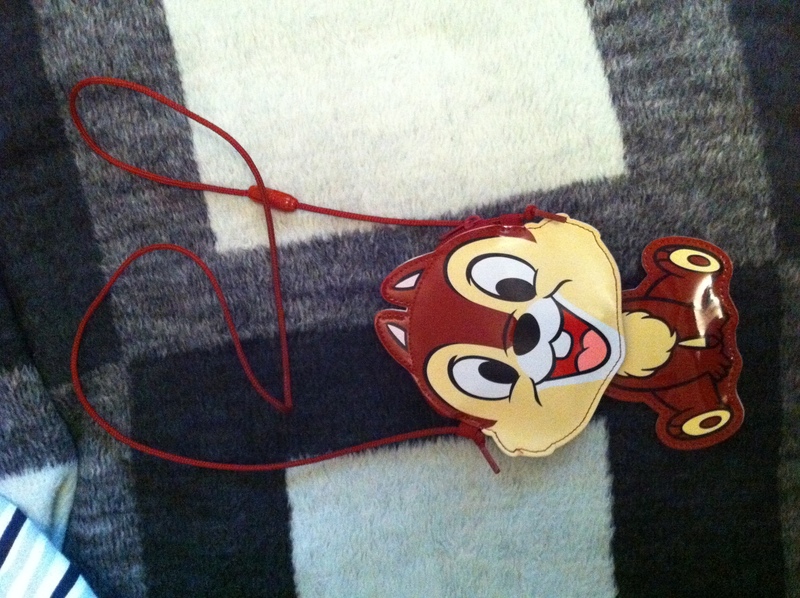 I bought it in Tokyo Disneyland last year and it’s incredibly cute and my favorite accessory to have while in the parks. Many people wanted to get their own, but alas it’s only Tokyo. 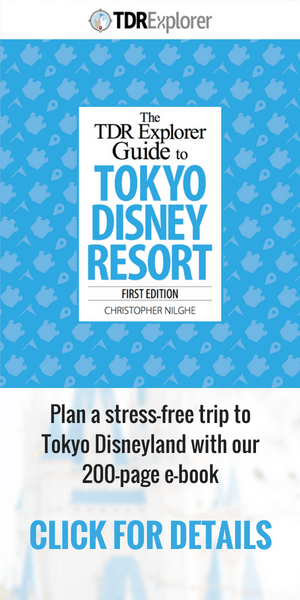 I told them to make sure they visit Tokyo Disneyland some day! Another item I never leave at home! A friend of ours said that Matterhorn was going to be taken down for Refurbishment in the next couple of days and we should ride it while we can. You don’t have to tell us twice! Once we were finished being chased by a Yeti it was time to go visit Hell. By that I mean Mr. Toad’s Wild Ride. The only place in Disneyland where you actually get to go to hell. The heat in the ride always makes me a bit car sick (irconically you are in a car). By this time it was almost time for Magical! We decided that it would be best to get a good spot on Main Street. We got an excellent spot that was a clear view of Sleeping Beauty’s Castle. Thankfully the group infront of us was incredibly short. While the show is not as good as “Remember…Dreams Come True” it was nice to see something different. After Magical it was time for a couple more attractions before calling it a night. 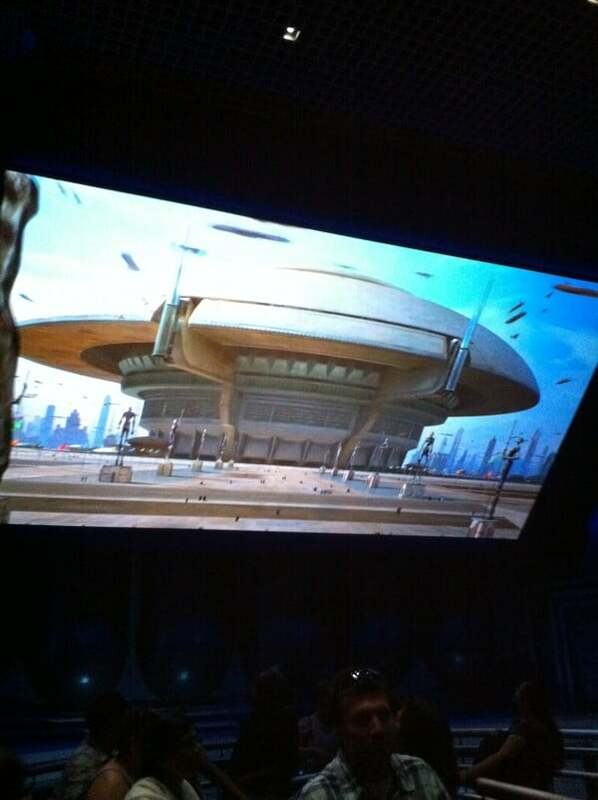 First up was Space Mountain, which had quite the wait time. 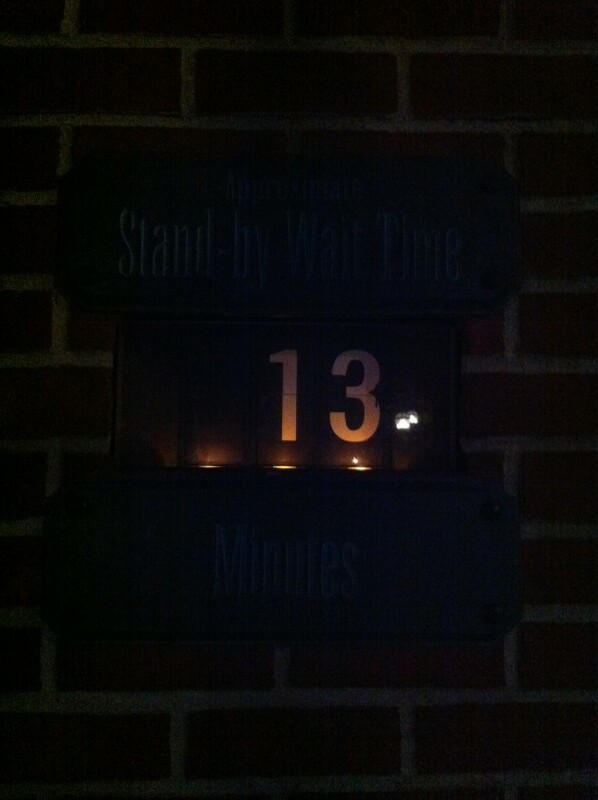 It was about 30mins we waited. 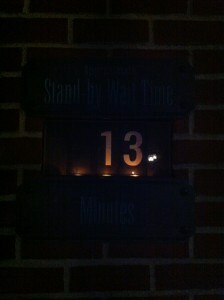 After that was Haunted Mansion that had the following wait time …. There was a small child that was in the small waiting room with his mom and the room really scared him. He took one look into the room and spun around pointing at the door and screaming to everyone in the room “GET OUT, GET OUT NOW. GET OUT GET OUT GET OUT GET!”. It was pretty cute! Poor little guy was really scared. His mom took him out of the room instead of making him scream for the rest of the ride. John and myself weren’t chosen as the 1000th person to become a resident in the Haunted Mansion. Which meant we had to leave for the hotel to get some sleep! We had another magical day. The highlights would have to be Magical, spending my life savings on Vinylmation, and the little child screaming at people to get out of the Haunted Mansion. We have one more day in Disneyland Resort and we are going to make it count! Please join me as I go through our last day in the Disneyland Resort experiencing Mickey’s Soundsational Summer!